Yesterday, a Wall St Journal [paywall] report tipped not one but two new Nintendo Switch models for launch “as early as this summer”. The upcoming models will represent both a cut-price version of the existing Switch console and one with “enhanced features targeted at avid videogamers”, the report concluded. On the cheaper option, first, yesterday’s report suggested it would be aimed at casual gamers currently still using Nintendo’s 3DS. The company is keen to move these players over to Switch – many of them Nintendo’s youngest fans, who have been bought cheaper versions of the 3DS. 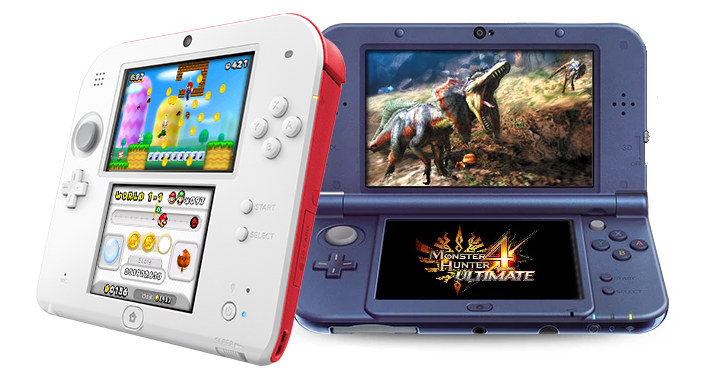 But rather than comparing it to a 3DS, Nintendo is, I’m told, keen to recapture the 2DS value proposition. Similar to 2DS, the unit’s design will be sturdier than the current Switch model in order to be “kid-proof”. Costs will be driven down by the removal of several features. Yesterday’s report mentioned the system’s rumble would be cut to save costs – although it was unclear if this referred to the Switch’s unique and more expensive HD Rumble, or any kind of vibration feature at all. But an even bigger change appears to be on the cards, as several people familiar with Nintendo’s current plans have told me the company has designed its budget Switch for an audience which uses it in handheld mode only. Will you still be able to connect this new budget Switch to a screen, even if via some kind of additional peripheral? It feels a huge switch from the console’s MO – its name, even – to drop the docking feature, but it’s a change of the same magnitude we have seen Nintendo explore before. With 2DS, Nintendo ripped out the 3DS’ title feature to drive down price – and there was no workaround for that. As for the new souped-up Switch, the one for “avid videogamers”, yesterday’s report mentioned it would not be getting beefed up to the specs of either the PlayStation 4 Pro or Xbox One X – which shouldn’t come as much of a surprise. I’ve heard the bump will be comparable to the one received by the 3DS upon its New 3DS relaunch. And, finally, there’s no suggestion this model might remove the TV screen docking. Nintendo planning two new Switch models may feel a surprise, but this is the company simply heading down the same two paths it took with 3DS – albeit at the same time. As Nintendo gears up for a big year of first-party software launches – Animal Crossing, Zelda: Link’s Awakening, Pokémon Sword and Shield, Luigi’s Mansion 3 – it makes sense to cater for the broadest audience as possible, soon as possible.